It’s a fair question. In fact, it’s one that’s come up often since EA almost implemented a controversial loot box system into its 2017 release Star Wars: Battlefront II, before deciding to pull it at the last second and opting to give away content for free instead (with cosmetic goods available for purchase on the side). That decision turned out to be for the better, though the impact of said system still hurt sales somewhat. Now that question has surfaced again as fans of the forthcoming Anthem from BioWare were wondering if the game will rely on loot boxes. Well, rest easy, potential Javelin pilots. You’re safe. Michael Gamble, who serves as lead producer on the forthcoming adventure, recently reiterated on his Twitter account that the game will not have loot boxes. It will have cosmetic microtransactions, though. So, yes, optional is the key word here. And this is good news for those that have been burned by EA games from the past, as well as other releases that relied on a loot box system to move ahead. It seems that the publisher is shying away from this, especially as more countries seem to see it as a form of gambling. That said, the plan for post-launch content hasn’t been fully revealed just yet. There will likely be some free updates that come with the game, including potential new missions. But it’s unknown what’ll be on the way after that. More than likely, we’ll find out around E3 time, when the company will likely host another EA Play event separate from the big show. For now, Anthem sure has a lot of excitement going for it. You’ll be able to jump into its beta in just a few short weeks and then experience the full game when it releases on February 22 for Xbox One, PlayStation 4 and PC. 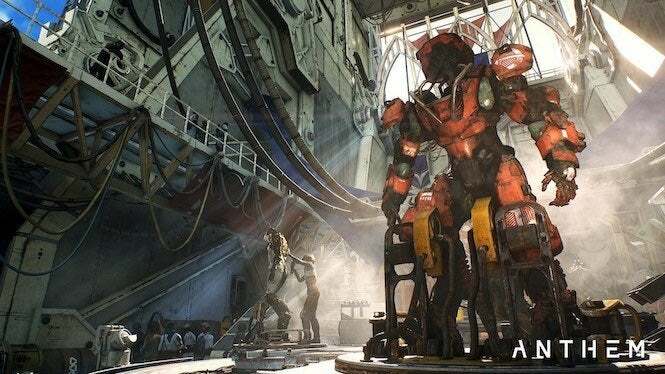 Are you excited for Anthem? Reach out to me on Twitter at @TheDCD!